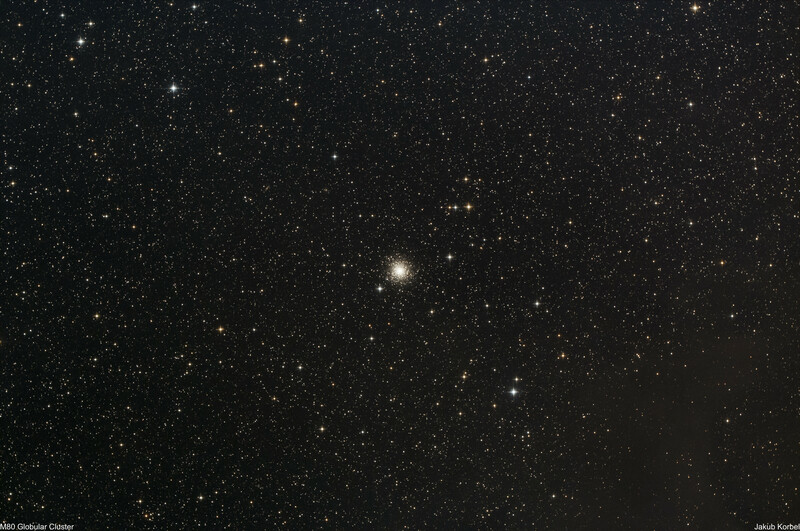 Messier107 is a globular cluster located in the constellation Ophiuchus. 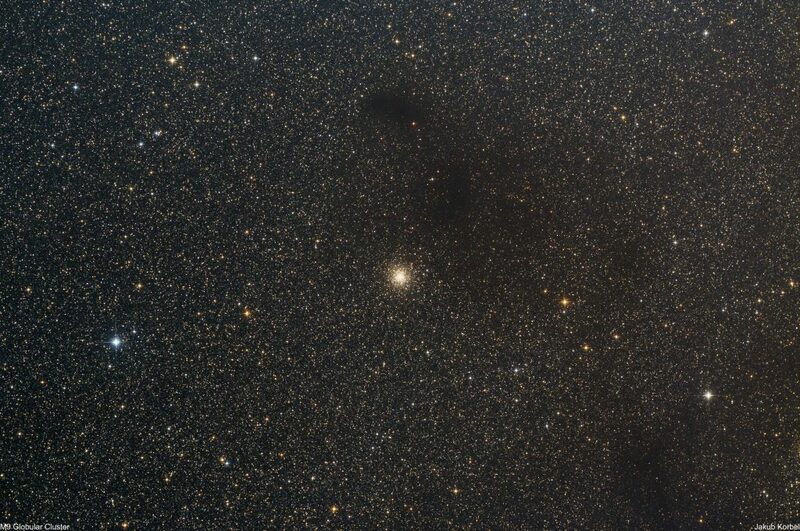 The cluster is very close to galactic disk of the Milky Way and 20’600 light-years far from Earth. 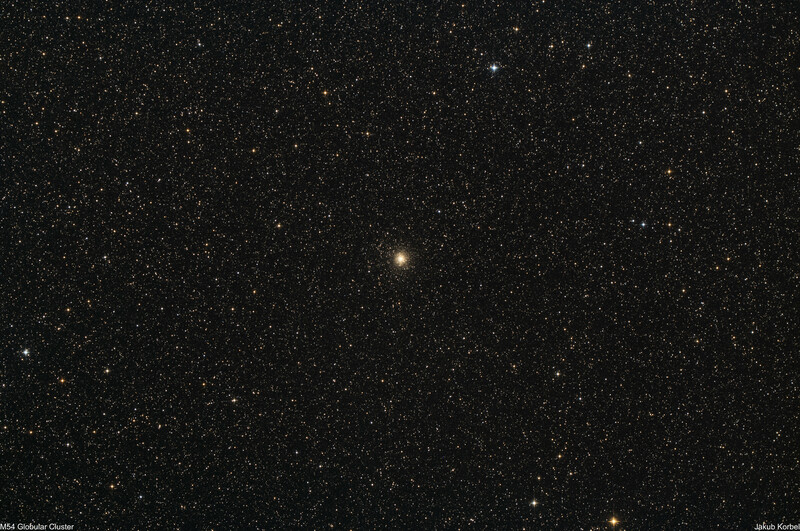 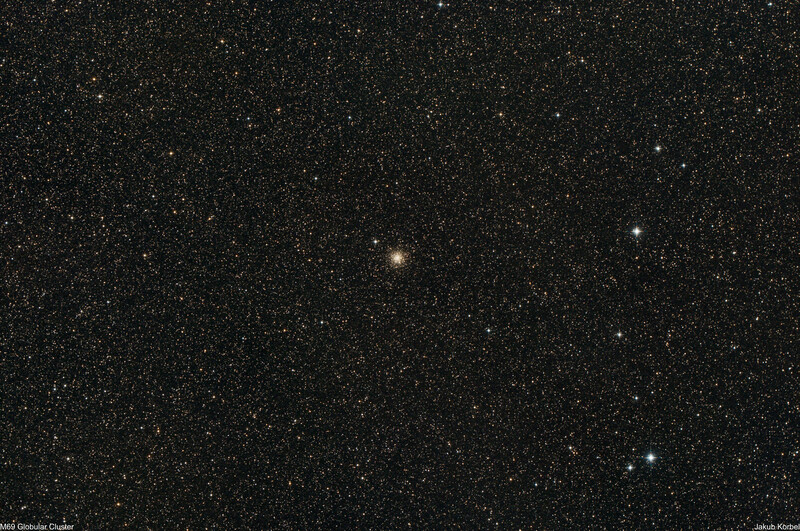 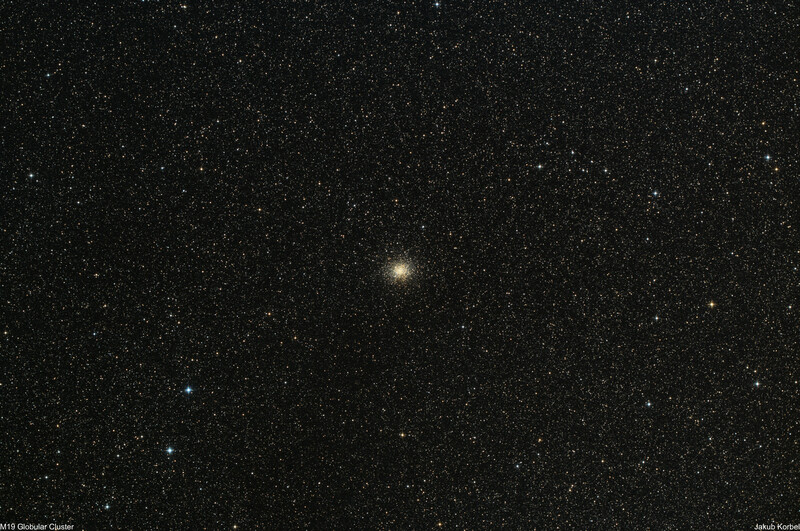 Messier80 is a globular cluster located in the constellation Scorpius. M80 is approximately 28’400 light-years far from Earth and it has several hundred thousand stars. 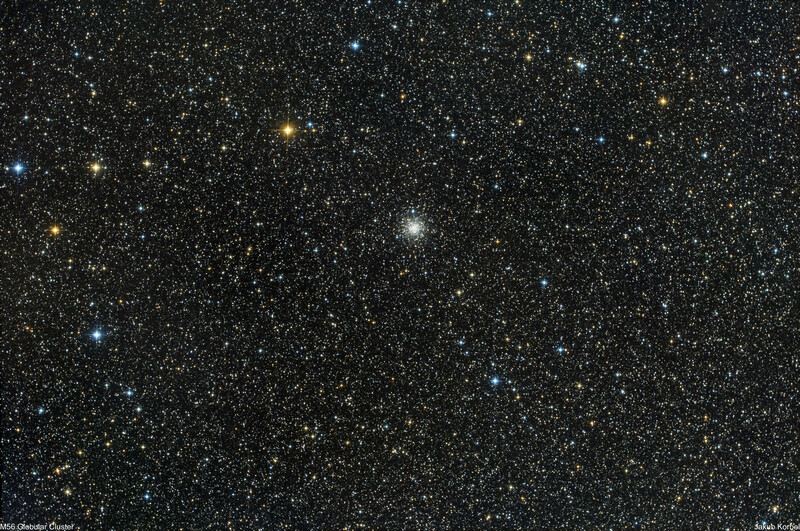 M80 belongs to one the densest globular cluster and it’s characterized by frequent star collisions in the center. 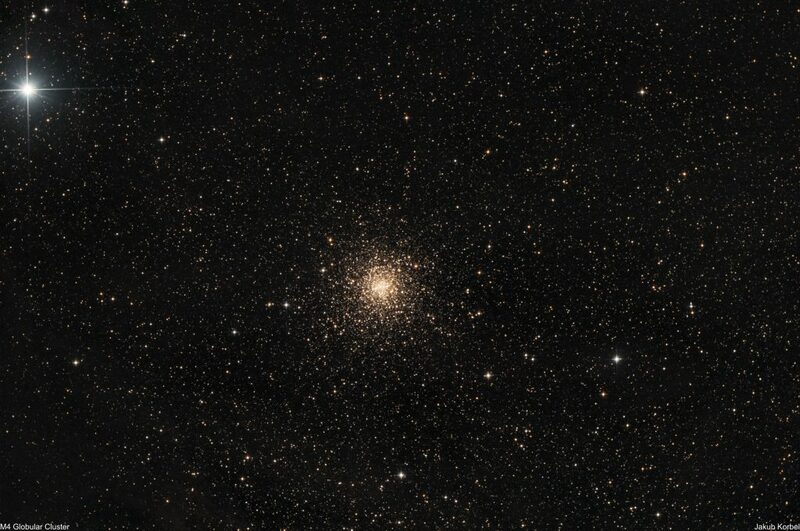 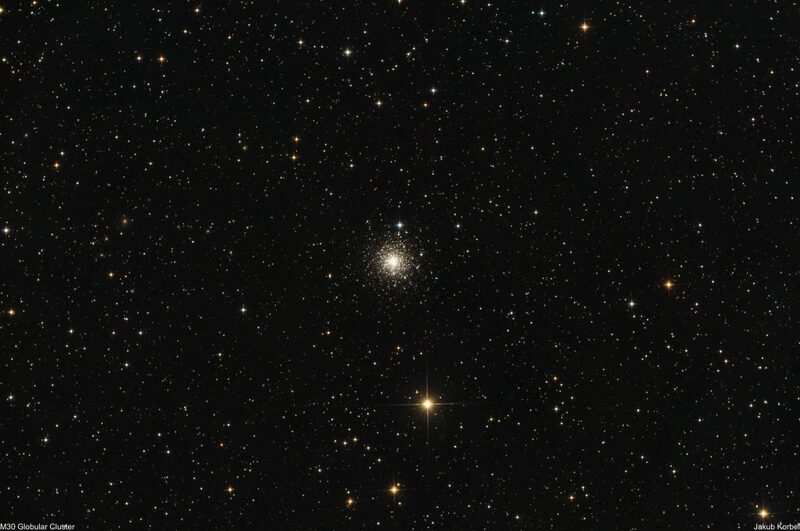 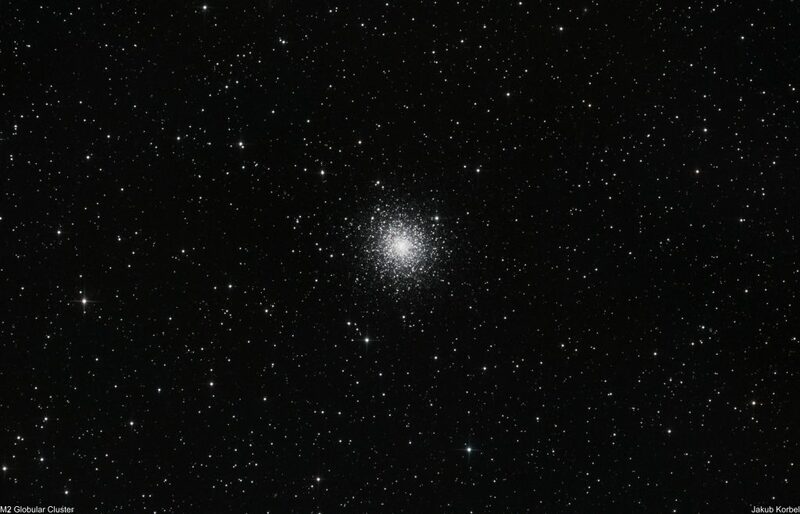 Messier M4 is a globular cluster located in constellation Scorpius. 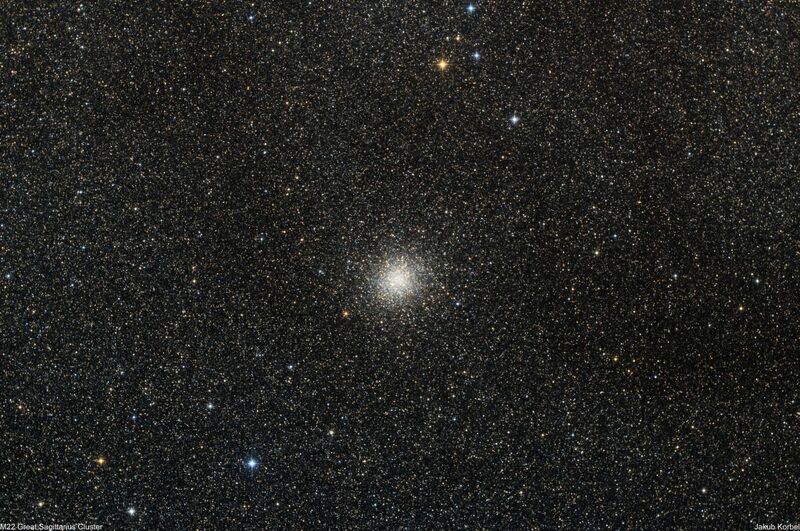 It has approximately 100 000 stars and it’s roughly 7200 light-years away from us, which makes it one of the closest globular clusters to the Solar system. Hubble Space Telescope discovered many white dwarf stars, which are the oldest known stars in our galaxy, having an age of 13 billion years. 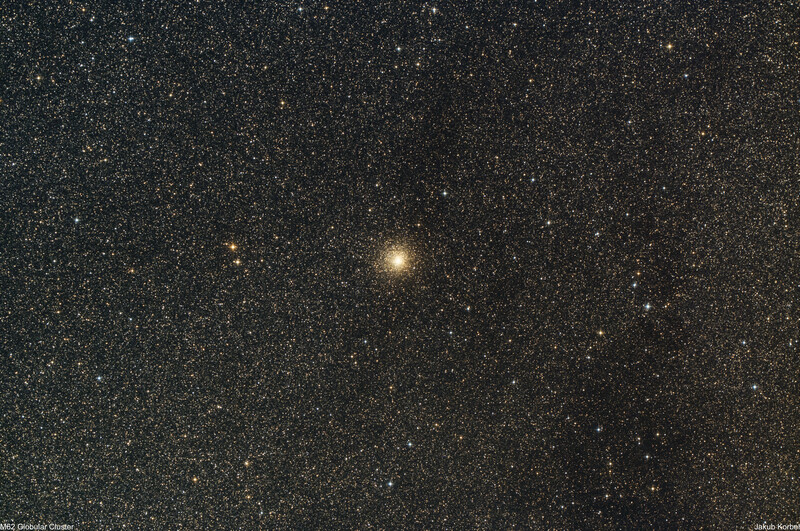 The picture was taken during my travels to Greek island Milos and it’s only integration of 24 of two minutes exposures. This means only 48 minutes in total. 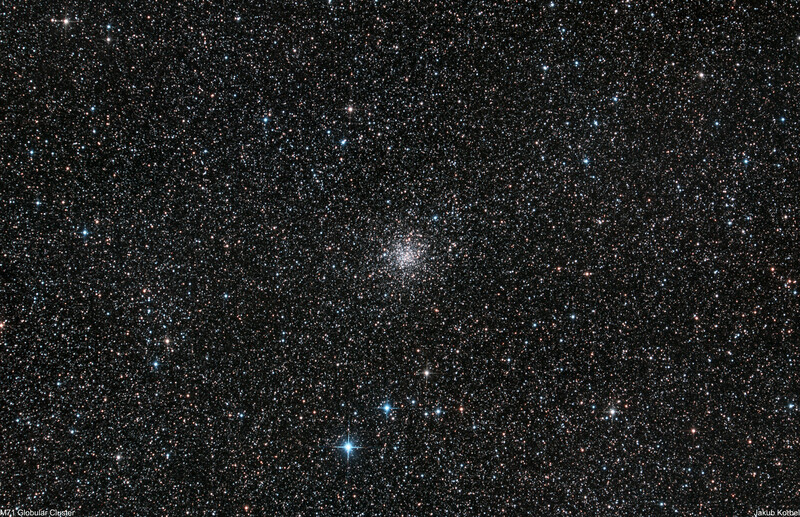 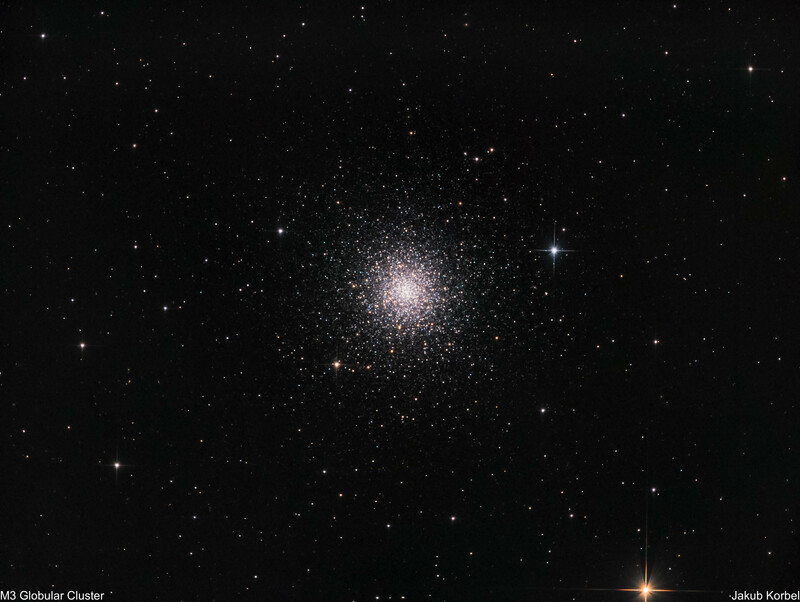 This spectacular globular cluster is called Messier 22 or Great Sagittarius Cluster. It’s located, surprisingly, in constellation Sagittarius, close to Galactic Bulge, therefore the background is illuminated by many stars. 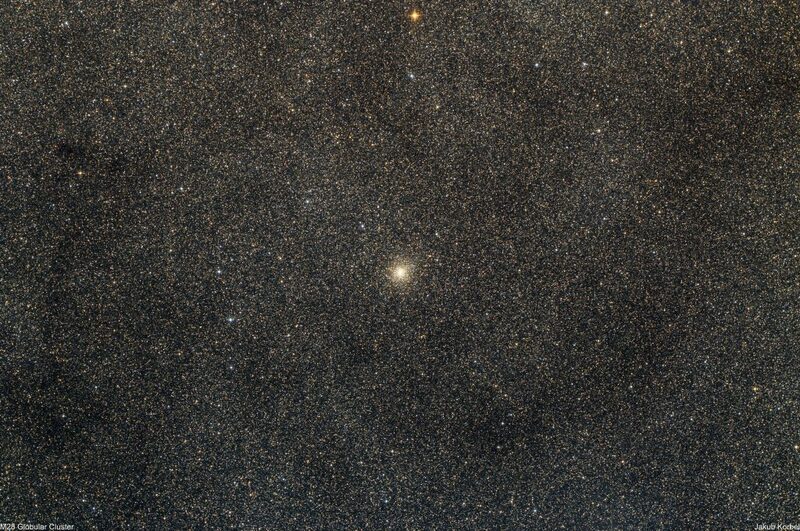 Oh, and it’s so many of them. 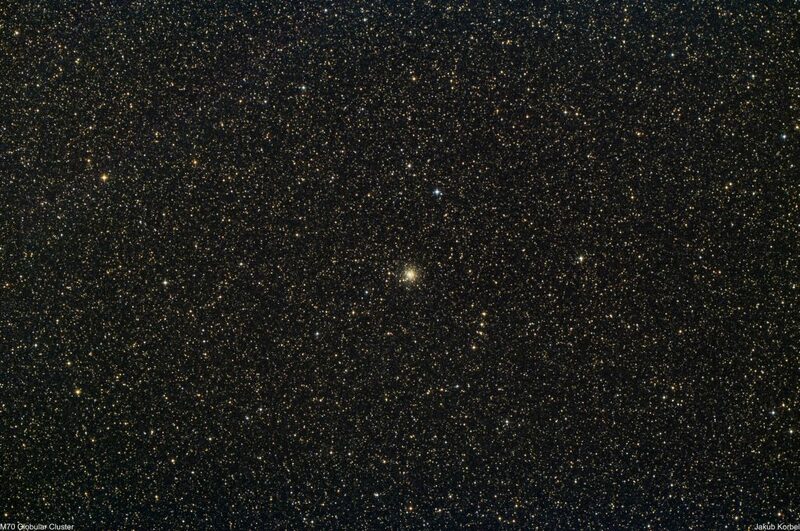 If you realize that each bright dot is a star and most probably not just a star, but whole solar system, it makes you think how big the universe is. The distance from Earth only 10’000 light-years, makes this cluster the closest one to us. 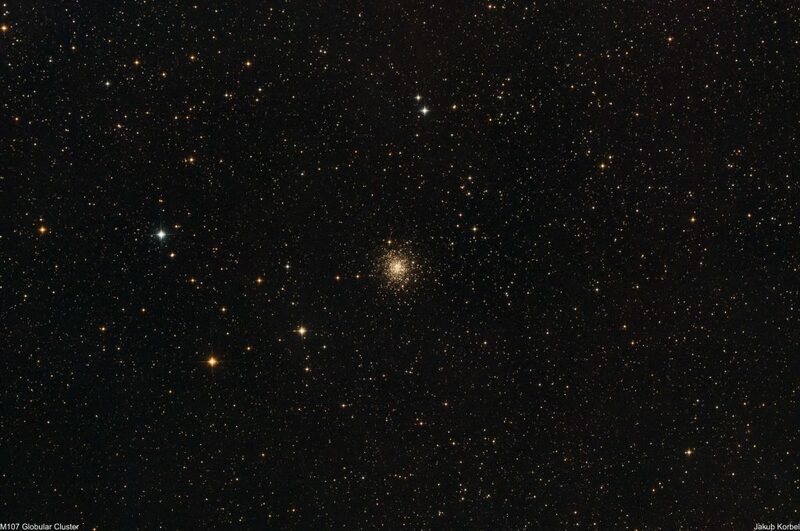 Due to its low declination, it’s quite difficult to photograph this cluster from Central Europe. 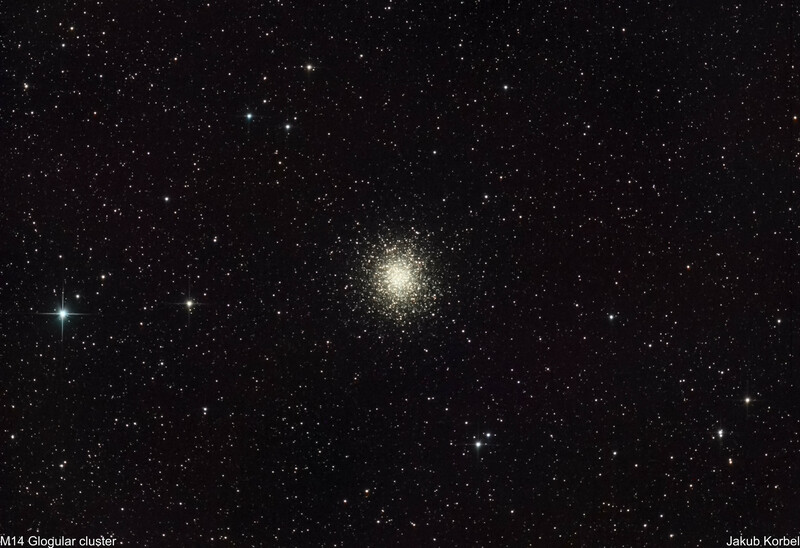 Therefore I took the opportunity and captured M22 on Milos Island. 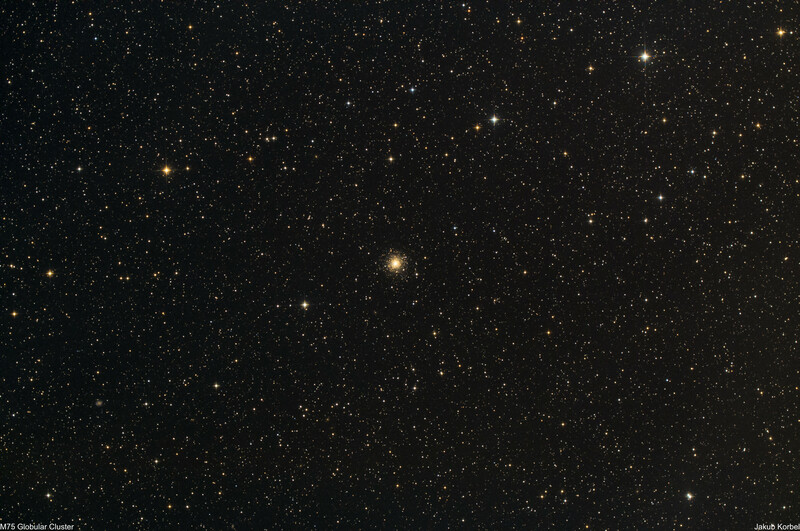 The picture is an integration of only 94 minutes. Messier 30 is a globular cluster located in constellation Capricornus. 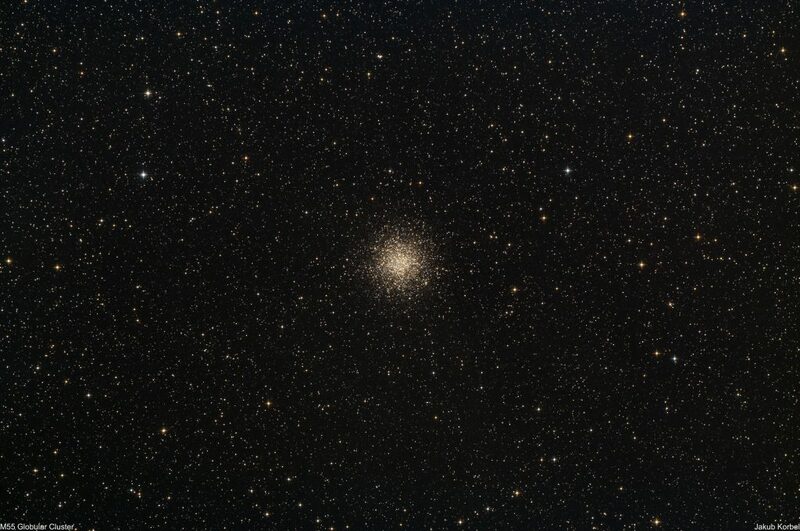 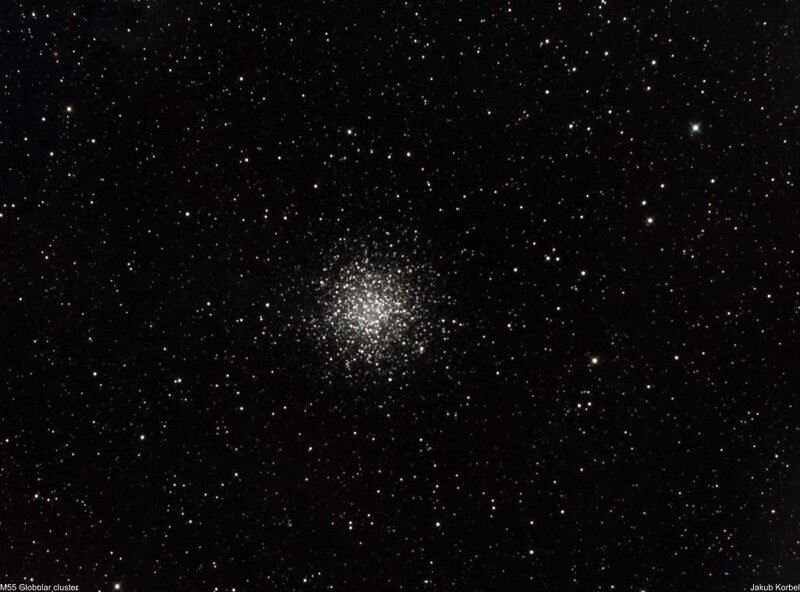 Compared to recently captured globular clusters there are not so many stars in the background. M30 is about 27’100 light-years far from Earth, has 93 light-year in diameter and it contains approximately 150’000 stars.